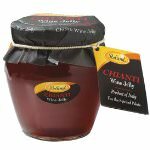 Wine jelly truly tastes like wine. 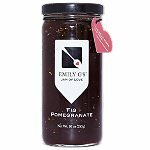 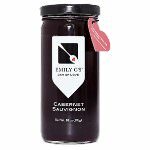 The alcohol burns off during the cooking process, but the delicious flavor lingers on into the jelly. 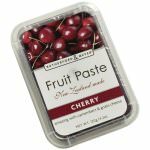 Toss those old boring fruit jellies and use these amazing flavors for the same recipes, like banana split, roasting lamb, ice cream, crepes, crispy bread, croissants. 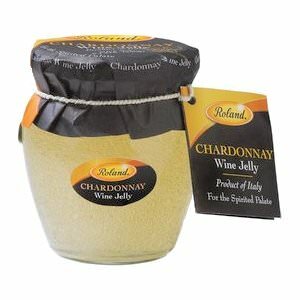 Ingredients: Chardonnay wine, sugar, lemon juice, natural apple pectin.